The King-Tisdell Cottage Foundation held its Annual Awards Gala kick-off luncheon for key community and business leaders last Wednesday, June 11, 2014. The luncheon took place in the Savannah Room located in the King-Frazier Complex on the campus of Savannah State University. The Annual Awards Gala is scheduled for Saturday, September 27, 2014, at Savannah State University. This event is presented each year as a means of recognizing individuals who have been consistently noteworthy in their work to improve their surroundings in one of several areas: Historic Preservation, Fine Arts, Public Service and Education. The W.W. Law Legacy award is also given to persons who embody Mr. Law’s selfless dedication and commitment to this community. 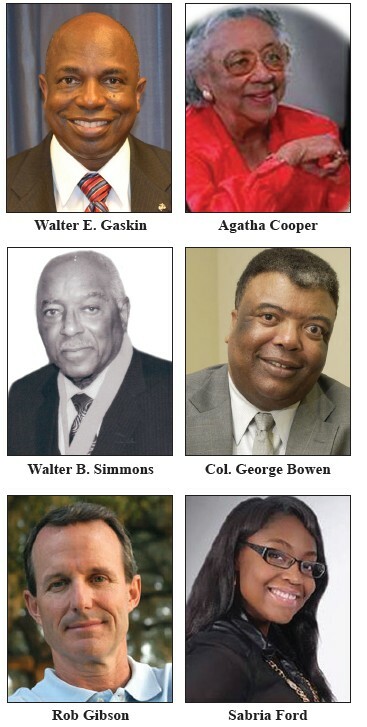 The 2014 recipients are: Lt. General (Retired) Walter E. Gaskin, W. W. Law Legacy Award; Walter B. Simmons, Beach Institute Education Award; Col. George Bowen, Rev. James M. Simms Public Service Award; Agatha Cooper, (Posthumous) Leopold Adler, II Historic Preservation Award; Rob Gibson, King-Tisdell Cottage Arts Award and Sabria Ford, Robert Sengstacke Abbott Youth Award. The King-Tisdell Cottage Foundation was established in 1981 in Savannah under the leadership of historian, preservationist and civil rights activist W.W. Law, to research, collect and present the African-American historical and cultural experience to the public. It endeavors to fill the void of information concerning the contributions of African Americans, especially in Georgia and the Sea Islands of South Carolina. Today, the foundation operates the Beach Institute African-American Cultural Center, which houses the internationally recognized Ulysses Davis Folk Art Collection and art artifacts from around the African Diaspora. The Beach Institute Garden and Garden Level area, which houses the Gift Shop, have been renovated and reopened in recent years. The Foundation also operates the King-Tisdell Cottage. The King-Tisdell Cottage, the birthplace of the movement to preserve African American history in Savannah, serves as a museum interpreting black life in the region from slavery to freedom. It also tells the story of two working class families in the early decades of the 20th century and provides information on the life and work of Mr. W. W. Law. The Annual Awards Gala is also the Foundation’s primary activity for securing funds for operating and personnel support. The Awards Gala is open to the public and will begin at 7:30 p.m. at Savannah State University on Saturday, September 27th. A reception is planned at 7:00 p.m. Dress for this occasion is semi-formal. Individual tickets are $75.00. Tables and sponsorships are also available. For more information, please contact Darlene Wilson at the Beach Institute at 912-234-8000.